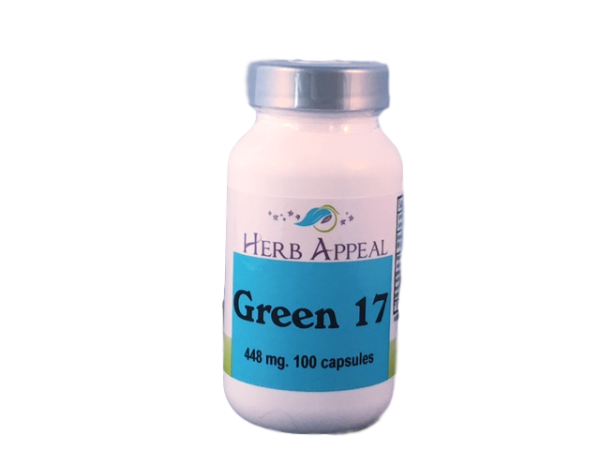 Green 17 is named because this formula has 17 different herbs, all known for their high vitamin and mineral content. Eating whole natural foods used to mean that you could get all the nutrients your body needed, but with the depletion of our soil, especially from pesticides and herbicides, our food today is far less nutrient dense than the food from 75 years ago. Wheat Grass is the number one ingredient in this formula. Known widely for its high mineral content, vitamins A, B complex, C, E, L and K, 17 amino acids and even protein. Supplement your healthy diet with natural greens to help fill the missing pieces.